Mission #241, 12 September 1944. B17G #44-6316 (no name) (358th BS) VK-C. Limped back to England on three engines. The right landing gear collapsed when the B-17 touched the Molesworth runway. A fire was quickly extinguished by the crash crew. There were no injuries. See the Crash Photo. 2Lt David A. Grenier (CP)(KIA) - Did not fly on missions 233, 234 & 236 where substitute CoPilots were used. Sgt Fred E. Kane (R)(KIA) - A substitute Radio Operator was used on mission #236. 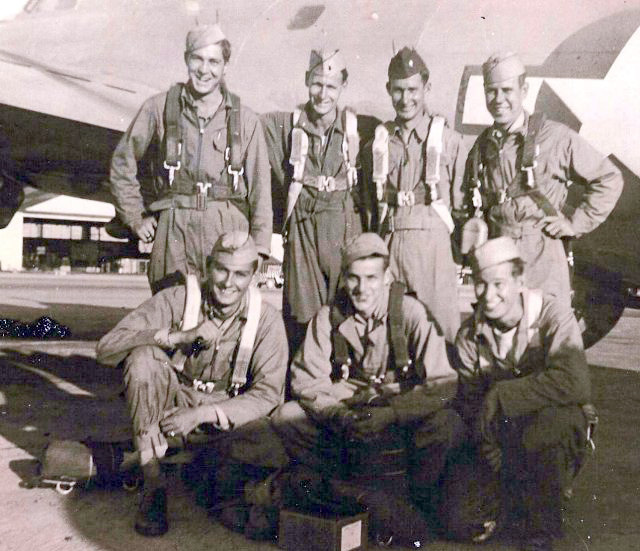 S/Sgt Edward P. Kedzierski (BTG) - Did not fly on mission #248. He was then dispatched on 27 additional missions as BTG and Togglier with other Pilots. Completed his combat tour on mission #303, 17 January 1945.